Ideal for field testing, the Fluke Norma 4000 Three-Phase Power Analyzer offers easy and straight-forward operation with unmatched price performance. 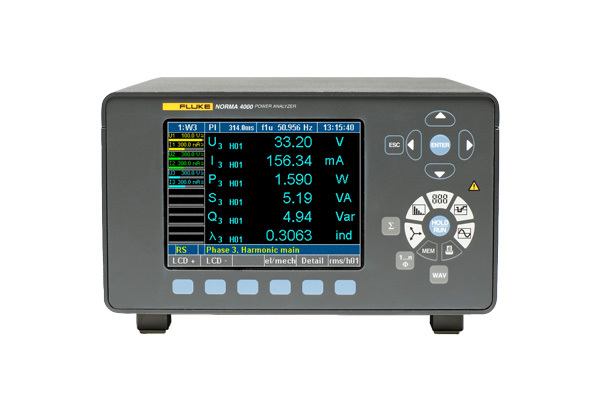 Features include: 1 to 3 power phases, 5.7 in / 144 mm color display, harmonic analysis, scope mode, vector diagram display, recorder function, Fluke NormaView PC software and expandable 4 MB RAM data memory. User-selectable average time – from 15 ms up to 3600 s – for dynamic measurements.